Hiking and backpacking boot with a look and technology deriving from the Trango series, ideal for off track trails, walks in the woods and excursions with a heavy backpack. 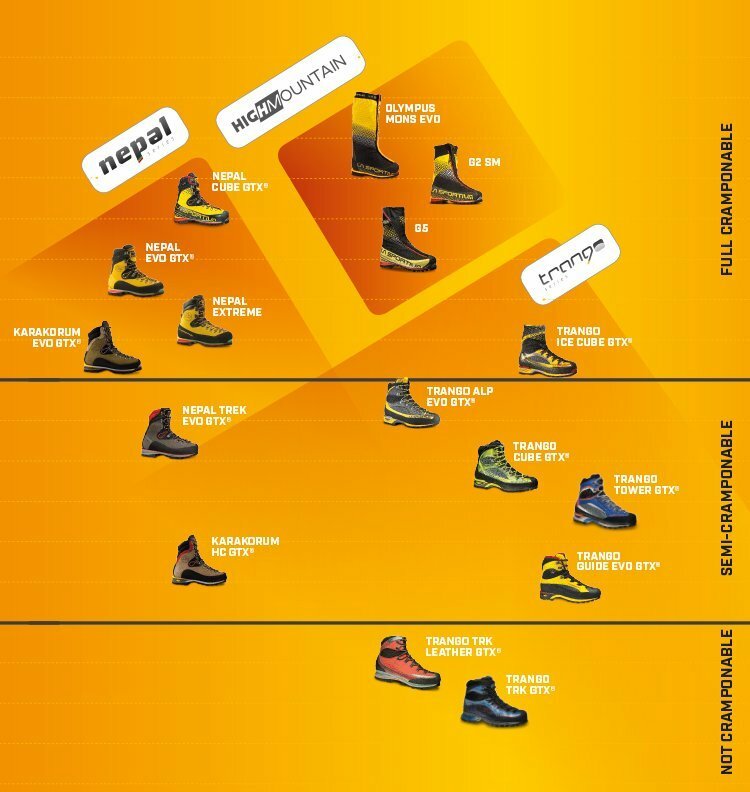 This model distinguishes itself from the other trekking products thanks to the innovative waterproof, abrasion resistant uppers with exclusive Thermo Tech Application™ technology that provides structure and protection without the use of inserts and stitching keeping weight and volume in check. The Gore-Tex Performance Comfort membrane guarantees breathability and waterproofness, the 3D Flex system applied to the heel provides support and allows for the maximum control on steep terrain. The graded lacing system allows for perfect regulation of volumes while the Vibram sole with Climbing zone at the toe makes the shoe idea for via ferratas. The Trango look and La Sportiva technology combine for comfort, protection and safety in the mountains. + Waterproof, abrasion resistant uppers with exclusive Thermo Tech Application™ technology that provides structure and protection without the use of inserts and stitching helping to reduce weight and volume. + Breathable and waterproof thanks to the Gore-Tex Performance Comfort membrane. 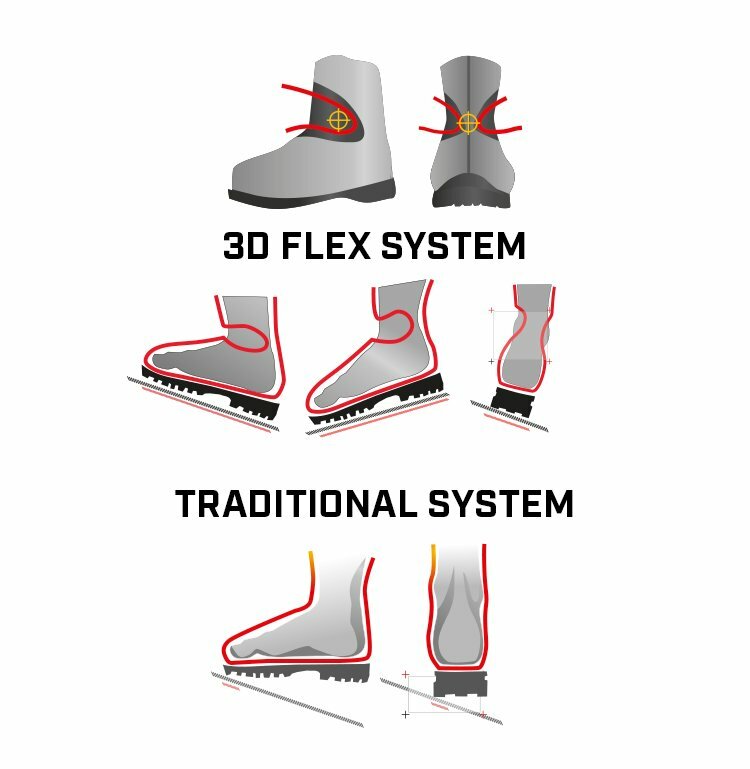 + 3D Flex System provides support and allows for maximum control on different types of terrain. 18/05/2017 eccellenti molto leggeri! ottimo grip, ottima impermeabilita' (se fossero prodotti in italia pero' sarebbero di qualita' ancora migliore! 28/11/2017 Premiers tests très satisfaisants. 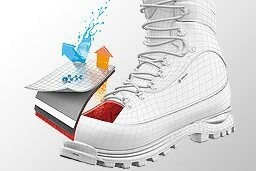 Chaussure légère, très bonne tenue du pied, excellente imperméabilité.